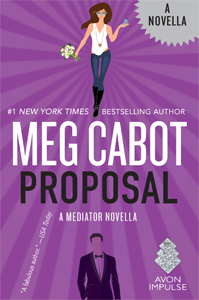 Will there be more books in the Mediator series? - Remembrance will be published in Feb 2, 2016 (USA and Canada). - Proposal, a novella, was published on Jan 19, 2016. Remembrance will be published on Feb 2, 2016 (USA and Canada). Have you written another paranormal book like THE MEDIATOR? - Yes, check out the 1-800 series and Abandon. Is there going to be a MEDIATOR movie? - The Mediator series has been optioned for television and film almost continuously since it was first published in the year 2000 by many extremely talented, caring, and successful producers. But because this series contains such a delicate mix of romance, horror, humor, and mystery, (and is also beloved by fans worldwide), it's been difficult to find a perfect studio. Until we do, I'm hanging onto the screen rights. Thanks so much for caring as much as I do!